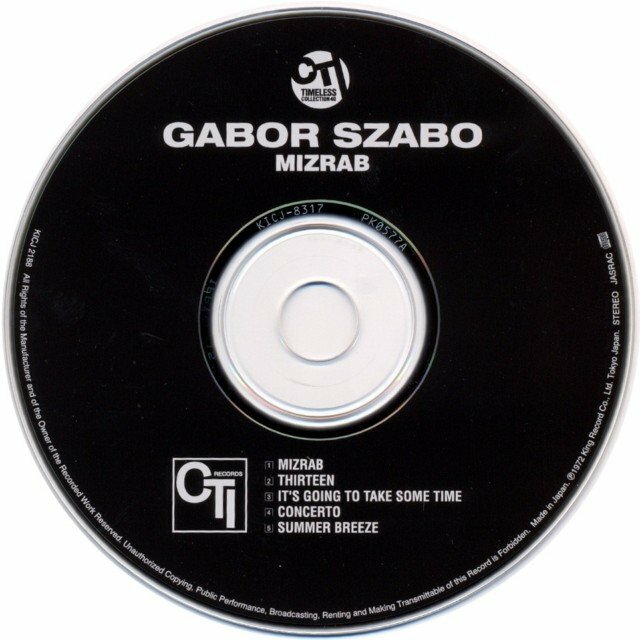 Gabor Szabo, who always had an original sound on the guitar (displaying his Hungarian heritage), is backed by a string section, horns and a rhythm section (including bassist Ron Carter and either Billy Cobham or Jack DeJohnette on drums) on this Bob James production. 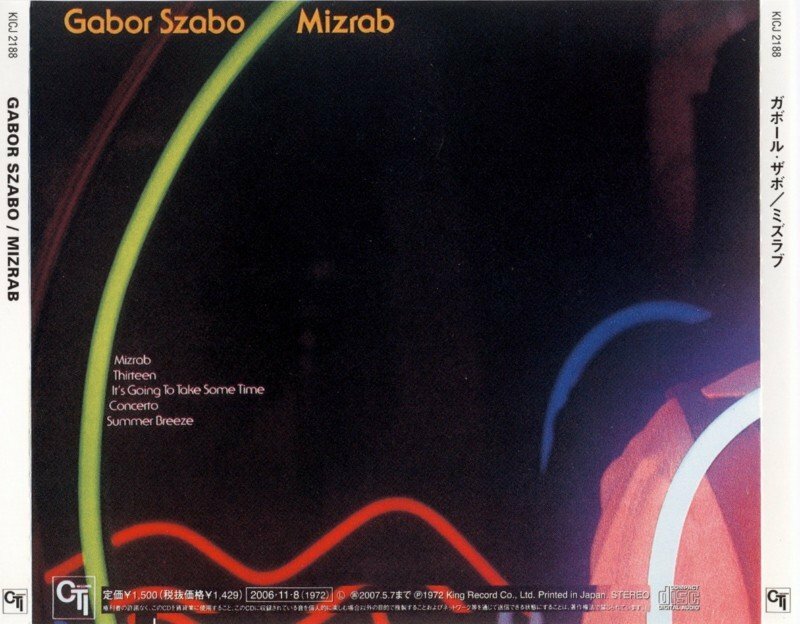 For the program which has not yet reissued on CD, Szabo performs two originals, a pair of pop tunes and an adaptation of a Shostakovich classical concerto. The music is well played but not particularly memorable. 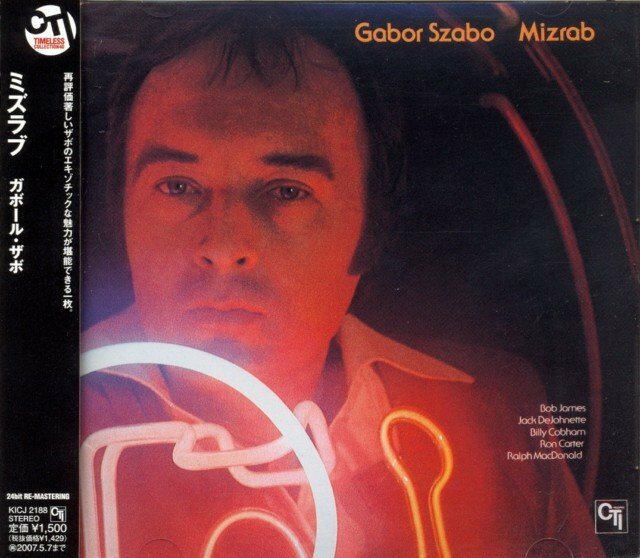 Billy Cobham - drums on "Mizrab" and "It's Going to Take Some Time"
Теги: Jazz Fusion Gabor Szabo Japanese Edition.